We mark our lives with significant people and events. Sometimes, we don’t appreciate either until a lot of time has passed. Sometimes, it takes 50 years to want to go back in time…if only for a moment, if only for a day. 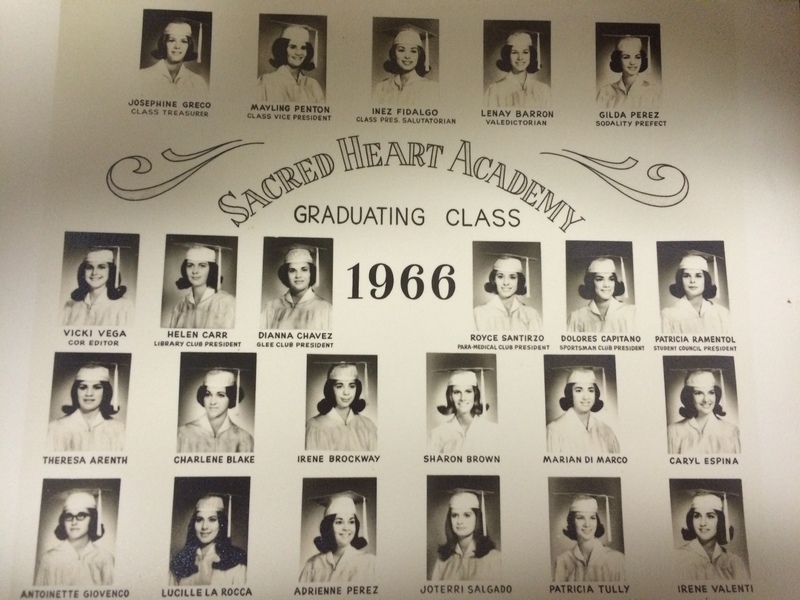 It’s been a half-century since I’ve graduated from high school. 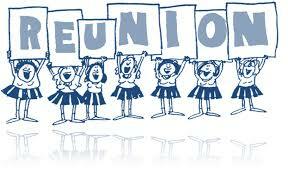 We, the “girls” of old Sacred Heart Academy’s class of 1966 have planned to gather for lunch in a few days. No doubt it will be a memory swap and a sharing of how we’ve lived our lives in the past five decades. Some won’t be there for reasons we may know or not know. At least one of us has passed away. She was young — in her 20s — and it was a brain aneurism that took her life. I was a bridesmaid in her wedding and it makes me sad to remember the good times we had. At the same time, I feel blessed to have lived and served this long. Today, success is Stayin’ Alive…in body, mind and spirit! We were a small class – only 23 – at a small parochial, all-girls high school in Tampa, Florida when the town was small enough for everyone to know each other. We were so tightly knit, our lives intricately intertwined, that we couldn’t wait to escape the confines. Like butterflies outgrowing our cocoons. As products of the rebellious 60s, we selected as our unofficial class song the now-classic favorite, We’ve Gotta Get Out of this Place. Well, we managed to do that. We all graduated. And most of us, myself included and maybe even especially, have not kept in touch. Many of us in that class met when we were in first grade. We grew up together and, some of us, grew apart in the process. That’s life. As the cycle rightfully unfolds, in a few days, we’ll meet again to remember our past and to celebrate our continued existence.